The Rotary Club of Jarrow with Harton are set to help more foster children get creative in January. The Customs House has been awarded £600 from the Rotary Club of Jarrow with Harton to work with South Tyneside Foster Children (aged 7 to 13). We were successful and want to use this grant run a six week project in the New Year. We are recruiting children now. Much of our work in the Learning and Participation team is only possible thanks to the support of our funders and supporters. In fact The Customs House as a whole only manages to do so much because of the generosity of our supporters and advocates. The Rotary Club of Jarrow with Harton have enabled so many young people to have incredible experiences that raise their confidence and aspirations. They helped fund the start of the Step up Gallery, projects for Custom Reels, events during The Takeover… there constant support is very gratefully received and makes a real difference. 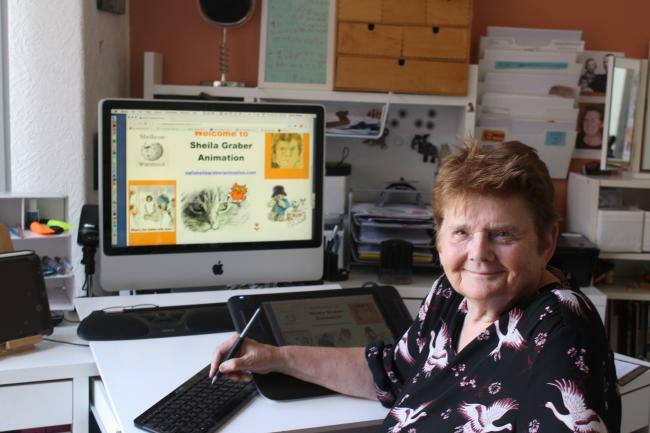 Children will work alongside Sheila Graber internationally renowned animator (you might know her work from the original animated Paddington Bear). Each session the children will make art and work on an animation themed around transport. This was a suggestion of three young artists in our last project to do a project about cars… which we’ve widened out to think about transport. The project will be based in The Riverview Room at The Customs House and sessions will run from 4.30pm to 6.15pm. Session dates are on 7th, 14th, 21st and 28th of January and 4th and 11th of February. We still have a small number of spaces on this project available. Please get in touch with Elizabeth before the 18th December to confirm your foster child’s place. If you have already confirmed you are taking part no further action is required. Your contact name and telephone number (in case of emergency). If you have any queries please contact Elizabeth on 0191 427 8198 or email. We ask foster carers commit to bringing children to each session. We understand sometimes this isn’t possible but this should be the aim. If you can arrange drop off and pick up to each session that would be brilliant. However make sure you join us for the final session which will showcase the young animators work. We would love to take photos to celebrate the young animators work and share these with the Rotary Club. If we have your permission to take photos and share them please confirm this in your email. These photos will be used in print and online. Don’t worry if its not possible we can photograph hands busy making animations. We are striving towards making The Treasure Group (the umbrella name for our work with Looked After Children) year round. Running these shorter projects is helping us build up evidence that our work is needs and makes a meaningful impact on children’s lives. The Customs House is committed to helping every child and young person in South Tyneside enjoy and achieve in the arts whether its something small like seeing an inspiring exhibition, something magical like seeing the pantomime or more in depth creative work with different projects and regular groups.